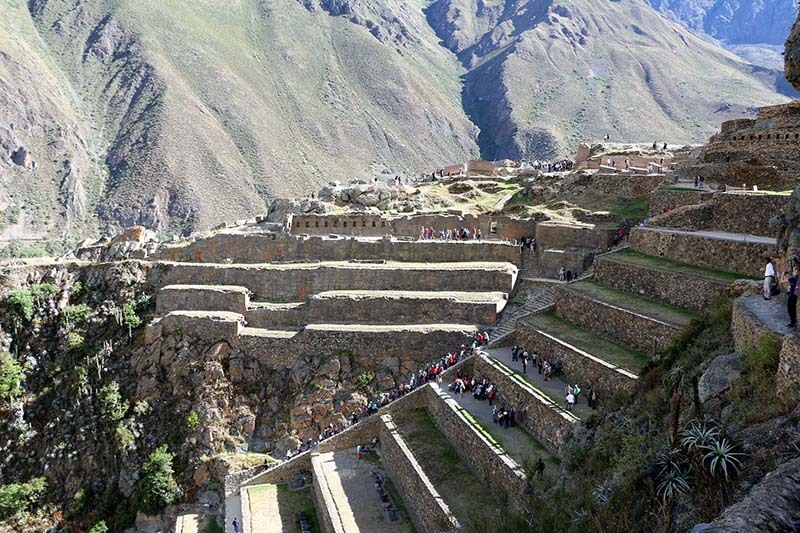 In fact, Ollantaytambo is not only one of the most impressive places in South America, but the land. This ancient Inca city is enveloped in a mystery that experts can not explain; And it is that like Machu Picchu and other important places and cities of the most important ancient cultures of the world, its megalithic constructions have an inexplicable perfection, and irremediably makes doubt to all the people who see them, that the stones with which they were Built have been carved with chisels and percussion tools; But on the contrary, it seems that they would have been, in some strange way, molded to perfection and stacked in the walls without need of any kind of glue; As if they had taken their shape in a 3D printer. This complex is located 3,000 meters high in the middle of the Sacred Valley of the Incas and is one of the most important Inca sites in Peru; However, many scholars agree that it may be prior to the Inca’s own empire. To get to Ollantaytambo you will have to arrive first to the city of Cusco. What makes Ollantaytambo such a special place? 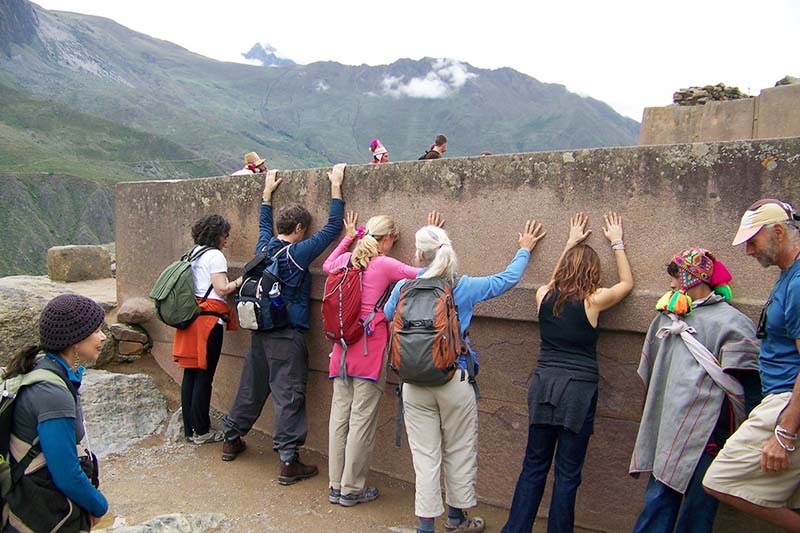 Well, talking about Ollantaytambo is talking about one of the most impressive megalithic sites in South America. Granite blocks of up to 80 tons perfectly carved form the walls of their constructions, but many of these stones were extracted directly from the mountainside, on the other side of the valley. But its incredible stone constructions are not the only thing amazing about this place, because if you did not know, Ollantaytambo is aligned with other important ancient constructions around the world, the pyramids Giza, Paratoari, Nazca lines or the statues of the Easter islands are just a few of them. The incredible structures of Ollantaytambo suggest to many experts the possibility that the people who built it, knew ancient technology lost at some point in time, perhaps even before the Inca civilization. 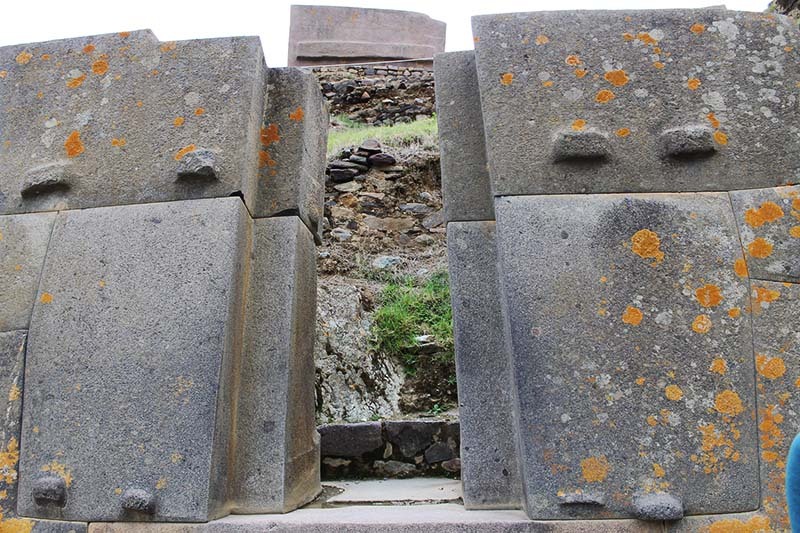 They knew something that allowed them to shape the stones with incredible precision, perhaps the same old technology that shaped the “stone spheres of Costa Rica” or the “moais, statues of the Easter Islands in Chile.” One of the great mysteries of Ollantaytambo is why the temple of the sun was never completed. 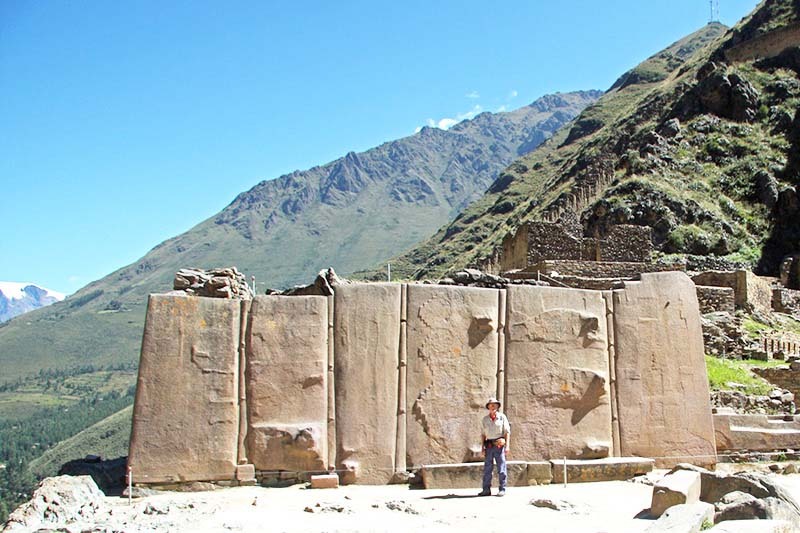 The temple of the sun is one of the most amazing constructions that you can see in Ollantaytambo, it consists of 6 monoliths each made of stones of tens of tons, so the builders had no problem with the weight, but then, why Never got to finish?, or so it seems. 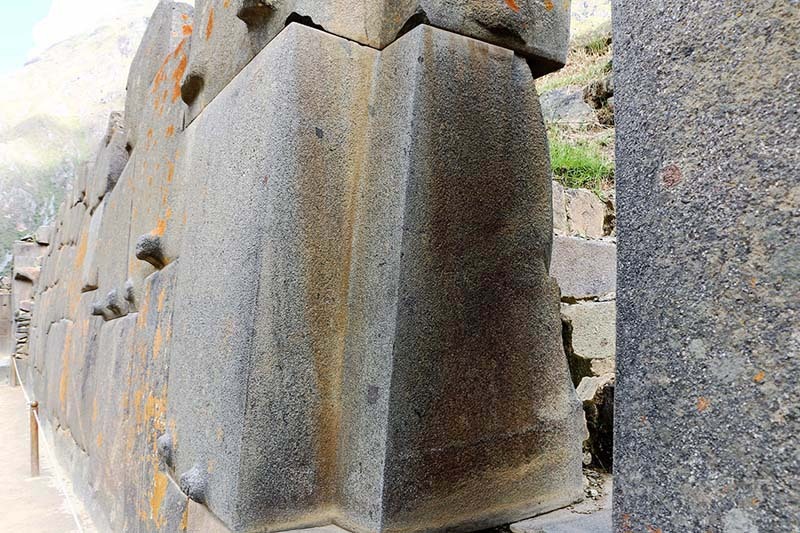 But it is not only his alignment with other incredible constructions on earth, but the incredible precision with which his stones were “carved.” Some of the corners fit so perfectly that they have puzzled archaeologists all over the world. Many scholars agree that a work of such magnitude can only be made with quartz, carbon, hardened or cobalt glass; However, the Incas did not know these materials, or so it seems, because until today no tools of this type have been found in Ollantaytambo. The complexity of Ollantaytambo coincides with places like Tiahuanaco, Puma Punku or the Great Pyramid of Giza (2,570 BC), but these places are separated not only by thousands of kilometers, but also for thousands of years in the history of time. The only thing that can be said about Ollantaytambo at this moment is that it is an ancient wonder, and that you can not miss it on your trip to Machu Picchu, as it has buildings as impressive as the wonder of the world, but it is not famous And there are not many people running at the same time. Many questions have been asked about this place. Visit it before it becomes better known and that like the tickets Machu Picchu, you have to reserve your income well in advance. What ticket will you need to visit the ancient city of Ollantaytambo? You will need to know how to buy the Cusco tourist ticket to enter the archaeological complex of Ollantaytambo, and as we said before, visit it before more people know what they can see in this place.